Dieter Rams is a German industrial designer and respected product design guru. With more than seven decades’ worth of design experience, he has earned a list of notable awards and accomplishments over the years, and is one of the most important designers in recent history. While he never worked for Apple, his designs are said to be the inspiration for a number of the Apple products that we know and love today. In fact, Jonathan Ive has publicly acknowledged Dieter Rams as his inspiration. In the 2009 documentary, “Objectified”, Rams claims that Apple is one of few companies who design according to his principles of good design. 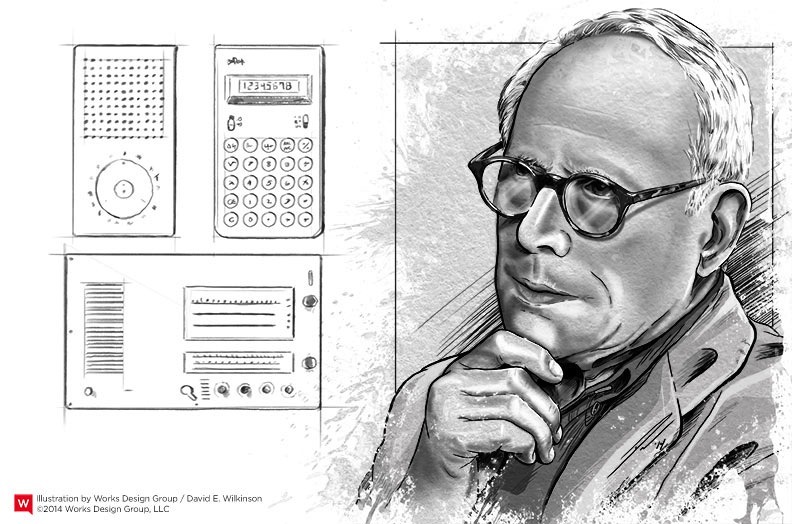 Dieter Rams is most commonly known for his work with Braun, where he served as the head of design from 1961-1995. He has helped design useful, visually appealing gadgets for around the home. Due in part to the user friendliness and look of Braun products, they became a household name in the 1950s. While he retired from Braun in 1997, Rams continues to work with Vitsoe furniture designs today. There have been a number of books published about Rams and his work. His designs can also be found in touring and permanent exhibitions and museums around the world. His 10 principles of good design have also been widely studied and used by designers and non-designers alike. Rams aims to make products that are useful and understandable, remaining functional, psychological, and aesthetic. He has stated that good product design “is a matter of balancing the esthetic content with regard to use”.